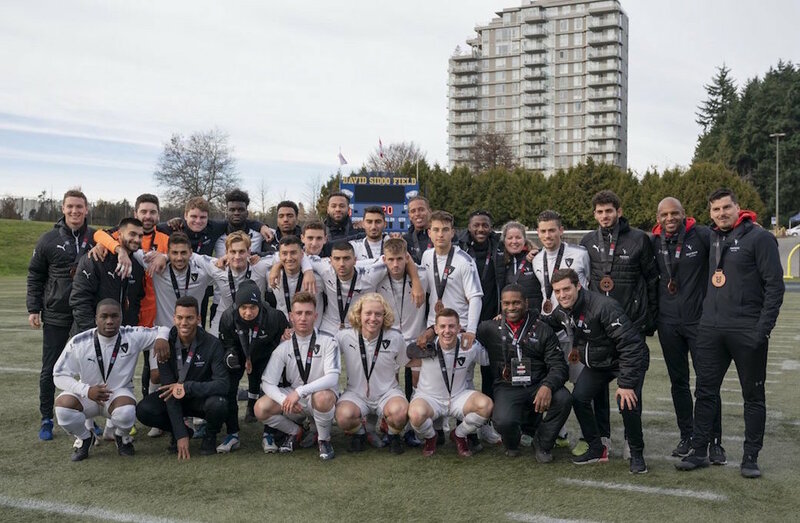 Gabriel Bitar’s second two-goal performance of the U SPORTS Men’s Soccer Championship helped the Carleton Ravens claim the bronze medal with a 3-0 win over Trinity Western Spartans on Sunday afternoon. Bitar’s brace highlighted a dominant performance from the Ravens overall, as they directed 23 shots at the Spartans goal, 12 of which made their way to TWU keeper Sebastian Colyn. The medal was the first for the Ravens program since winning silver back in 2002. Stefan Karajovanovic and Bitar had two golden opportunities to get Carleton on the board just past the five-minute mark, as Karajovanovic raced onto an errant pass from Caleb Johnson deep in Spartans territory and tested Colyn with a low bullet. Gathering the rebound in open space, Bitar misfired and sailed one past the right post. In the 25th minute, the ever-opportunistic Bitar struck off a broken play. Bitar picked up the loose ball in stride and made a strong move into the box before delivering a perfect strike to open the scoring. A terrific defensive effort from Bitar kept the kept the Ravens up 1-0 in the 40th minute. On a cross from Leighton Johnson, the ball eventually pinged around to the head of his brother Caleb, and Bitar had to clear the ball out of the danger area with a well-timed volley. Bitar made his presence felt again going forward early in the second half, as the Ravens attacker weaved his way through two Spartan defenders and broke in alone on Colyn. Only a diving effort from the second-year keeper denied Bitar a brace. M⚽️ // ENCORE! @CURavens are up 3-0 over @TWUSpartans in the 68th minute. Christopher Malekos delivered the insurance marker with a goal in the 65th. With the ball in the air following an attempt on goal from Karajovanovic and block from the Spartans backline, Malekos twisted and unleashed a back-heel volley that found its way into the top part of the Trinity Western goal. Bitar ended any potential comeback hopes less than three minutes later, as he pounced on a misplayed ball from Spartans defender Noah Kroeker, taking the ball with pace down the left flank before beating Colyn clean. Despite a flurry of attempts late in the contest to try and break the clean sheet, Trinity Western couldn’t get the ball through Ravens keeper Nick Jeffs. 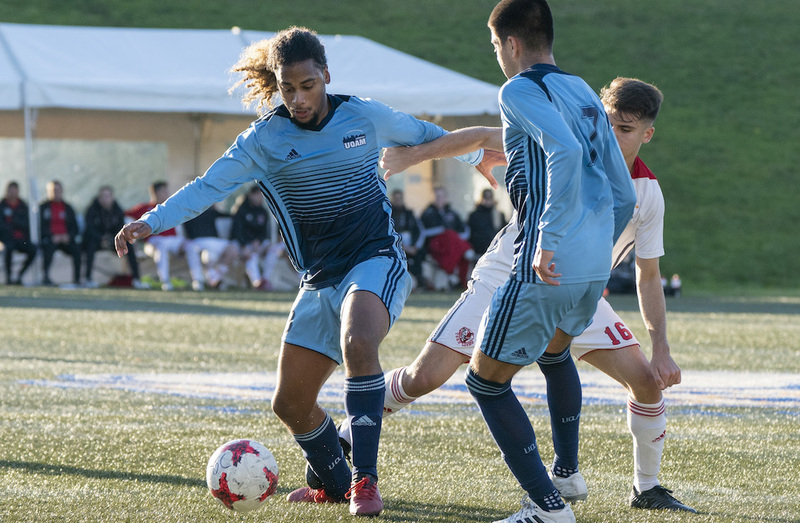 The U SPORTS Men’s Soccer championship concludes with a rematch for gold between the Montreal Carabins and the Cape Breton Capers.